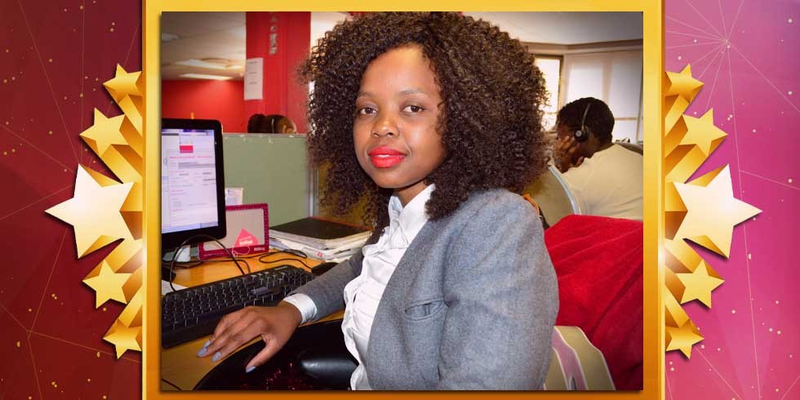 Busisiwe Shabangu is our Service Hero once again! Busisiwe Shabangu is our first Service Hero of the year - and we want to brag about her (once again)! 1. Which department do you represent and what role do you play in keeping our clients happy? I am from Client Services and in the Retentions department. My role is to make sure that I retain a critical mass of profitable clients in a fair manner. 2. What’s your service secret? I make sure that I always give clients service with a smile - and am always on my "A" game. 3. Why do you think it’s so important to get the job done the first time around? This is important because we want don't want client to complain or cancel their policies unnecessarily. Both of which can bring a bad name to our company. I am planning to start my business studies and see myself as a team leader or Super User. Read the compliment which made us choose Busisiwe on HelloPeter.com.